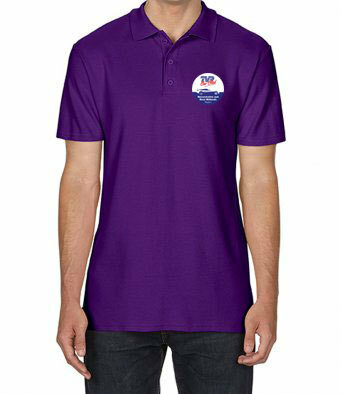 Softstyle double Pique Polo shirt with your regions name in the TVRCC logo design. Colour printed TVR Car Club logo on chest, this can have your Region name added FREE of charge, and "Regional Organiser", "TVR Car Club Regional Organiser", or "TVR Car Club Events" on the reverse in white lettering Ideal for events or for Regional Organisers so you can be indentified at meetings. Plus you can even add your name on the front as an optional extra.